The pendulum, with its exceptionally-attractive glass shade, protrudes downward from a chrome ceiling rosette directly below the room ceiling. 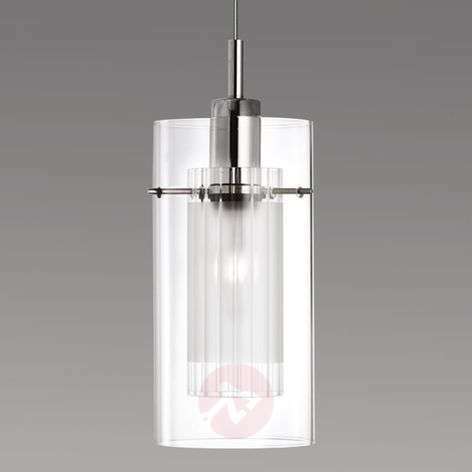 The glass shade, made of two cylindrical lampshades, was designed in an effective and attractive manner. 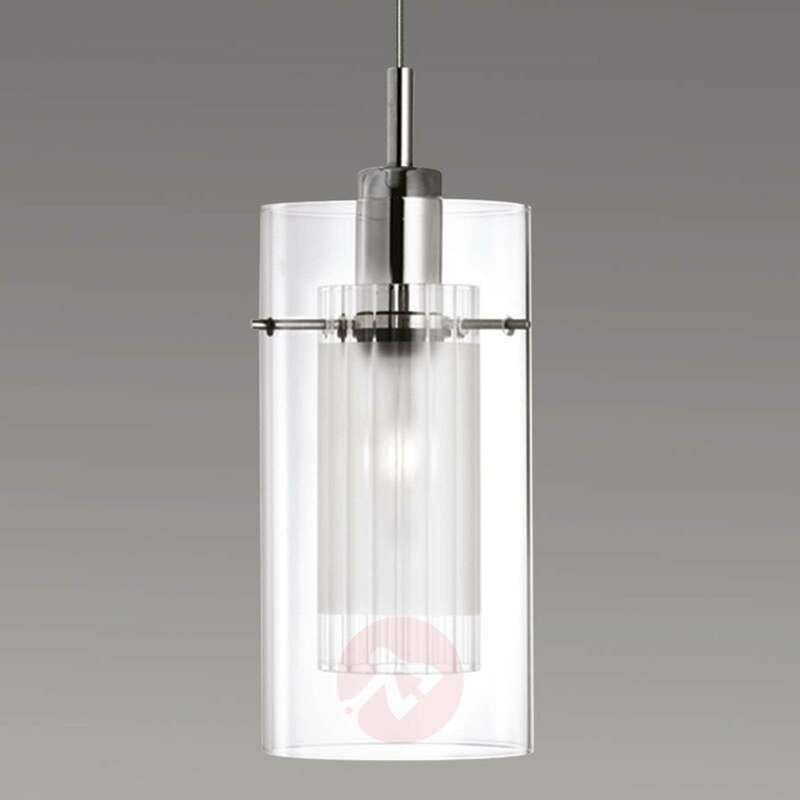 The outside is made of clear glass and the inside is made of frosted glass and therefore covers the light bulb. Energy-saving light bulbs can be used without affecting the appearance of the hanging light’s outside appearance. 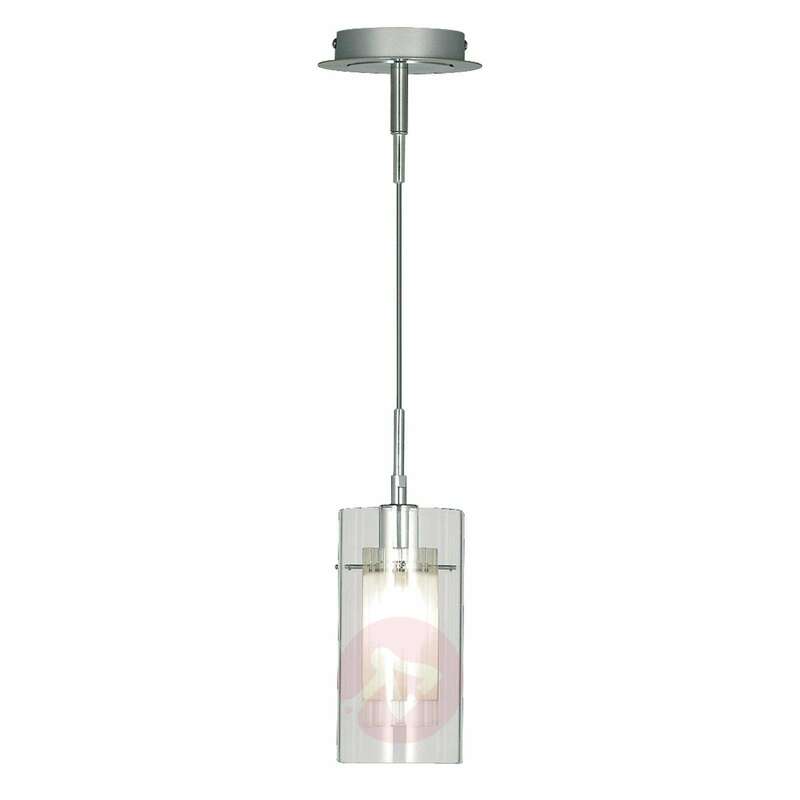 Is this single pendant light height adjustable? It is too long for my purpose. Yes you will be able to adjust the suspension to the desired length prior to installation. We do recommend for you to consult with an electrician.